Congress moved this week to tighten the economic noose on the embattled regime of Syrian President Bashar al Assad, passing new sanctions that directly target his military alliance with Russia and Iran that has resulted in scores of civilian casualties. The new sanctions on Assad seek to "halt the wholesale slaughter of the Syrian people" by hitting the regime's financial and military alliances with Russia and Iran, both of which have provided Assad and his allies with military hardware and manpower, according to a copy of the bill viewed by the Free Beacon. The legislation is said to be the direct result of an anti-Assad activist who smuggled more than 50,000 photos from the country exposing a cadre of war crimes, including the torture and execution of Syrian citizens and activists. The photographs played a key role is exposing to the world the Assad regime's actions at a time when little news was making its way out of the country. The new sanctions bolster and compliment current laws on the books by hitting any business or country that provides Syria with financial resources, according to the legislation, which passed a key legislative hurdle on Wednesday when it was approved by the Senate Foreign Relations Committee. Sanctions also could be applied to anyone who works with Syrian intelligence and security services, as well as the Central Bank of Syria. Additional authorities in the sanctions directly hit the Assad regime’s close relationship with Iran and Russia. Under the new legislation, anyone who sells aircraft to the Assad regime and its foreign operatives for military purposes can be slapped with sanctions. The bill is named after an anti-Assad activist named "Caesar," the nom-de-guerre for the Syrian citizen who smuggled the aforementioned torture photos out of the country. "Since the Syrian regime violently cracked down on peaceful protesters in March 2011, Bashar al-Assad and his cronies have wrecked the country and caused a global humanitarian crisis," said Lina Murad, president of Americans for a Free Syria, an advocacy organization that championed the legislation and organized fly-ins to Syria during the past two-years to help expose the regime’s war crimes. 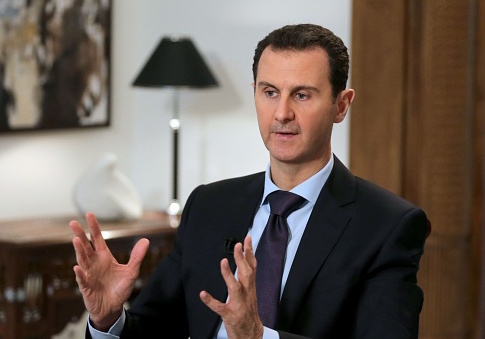 "Further, photo evidence smuggled out by Caesar confirms the Assad regime has detained, tortured and killed Syrian civilians in his horrific prisons," Murad said. "Assad has made Syria unsafe for all Syrians, and he must be held accountable for his actions. The Caesar Syrian Civilian Protection Act ensures the United States takes forceful action to restrict the ability of Assad and his allies like Russia and Iran to commit further human rights abuses." In addition to halting Russia and Iran's support for Assad, the new sanctions seek to promote negotiations aimed at ending the protracted civil war. It also authorized Secretary of State Mike Pompeo to provide U.S. support to entities that are gathering and preserving evidence of Assad's war crimes so he can later be prosecuted in an international forum. Other portions of the legislation mandate the Trump administration provide Congress with public reports naming those individuals and entities responsible for enabling the Assad regime's slaughter of the Syrian people. This entry was posted in National Security and tagged Bashar al-Assad, Iran, Russia, Syria, Trump Administration. Bookmark the permalink.